In 2010, we had sufficient funds to support a Cambodian Food Technology Laboratory Upgrade project in Phnom Penh. 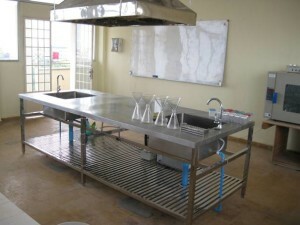 In 2010, the church, through the PSJ group, financially supported the upgrade and refurbishment of the Food Technology Laboratory at the Royal University of Phnom Penh in Cambodia. Supporting the refurbishment of this laboratory was considered important as it was integral to the redevelopment of Cambodia as a strong food producing country, after decades of the ravages of war. A donation for this purpose was provided from the PSJ Funds. The University of Phnom Penh kept the church updated on progress of the refurbishment, and on completion, sent photos along with their thanks and appreciation.